This sectional offers a smooth, retro style with a sophisticated design that will instantly transform your room's decor. 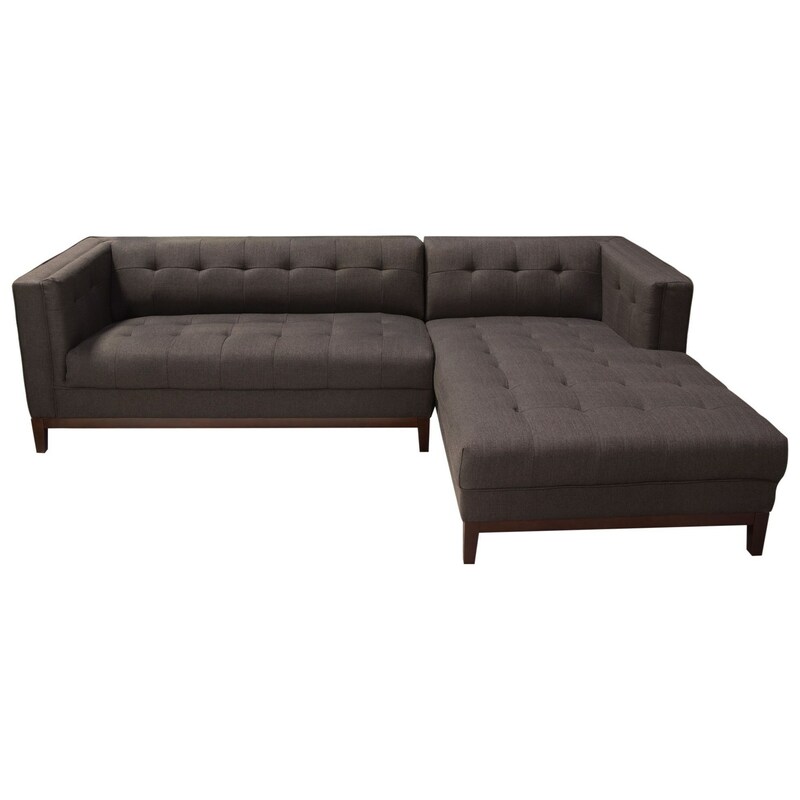 With the walnut trim and legs, the sectional offers a modern take on retro styling. Seat cushions are comprised of a high density foam cushion wrapped in polyester fibers to ensure a comfortable, relaxing and lasting seat. The tufted interior arm, seat and back give this collection an urban edge and stance. Dark brown polyester fabric provides a cover that can accent any room's decor and ensure years of comfort and enjoyment. The Manhattan Sectional by Diamond Sofa at Red Knot in the Oahu, Honolulu, Kapolei, Pearlridge, Salt Lake, Hawaii area. Product availability may vary. Contact us for the most current availability on this product. MANHATTANRCBR Right Arm Chaise 1 63" 35" 28"
MANHATTANLSBR Left Facing Sofa 1 35" 68" 28"